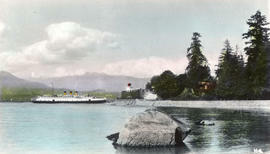 On English Bay, Vancouver, B.C. 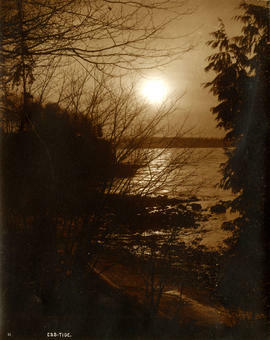 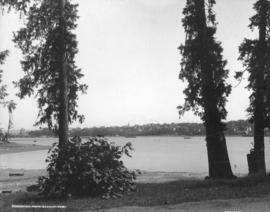 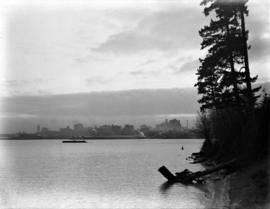 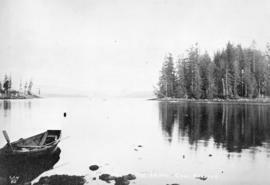 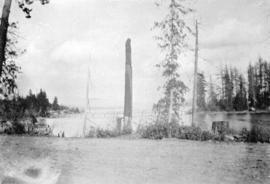 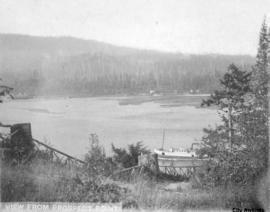 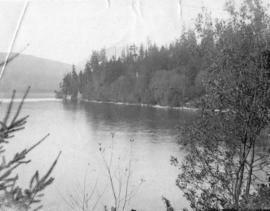 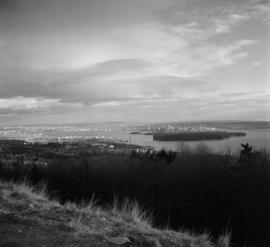 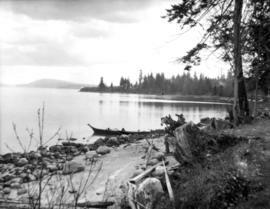 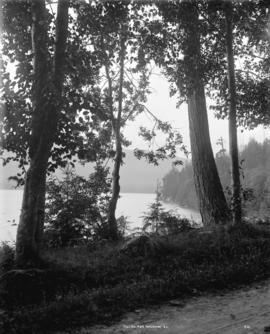 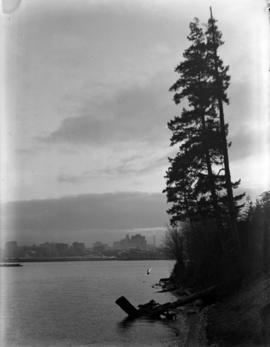 Item is a photograph showing a view from the shore in Stanley Park, looking east towards Brockton Point, with a canoe visible. 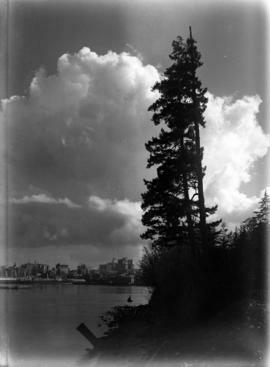 The Narrows from Stanley Park Road, Vancouver, B.C. 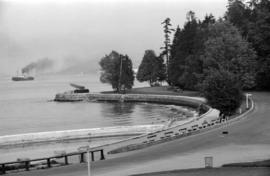 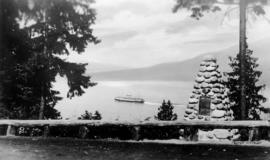 View from Prospect Point showing barge which started operations on North Shore waterfront. 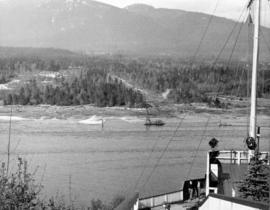 Note first breakwater and right-of-way slash. 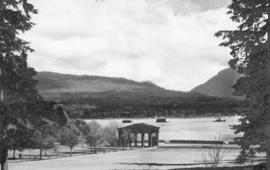 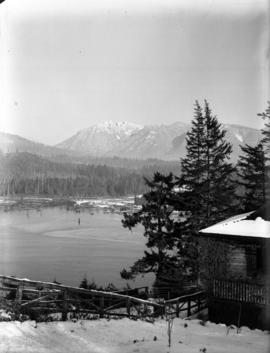 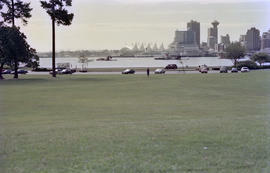 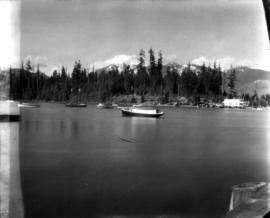 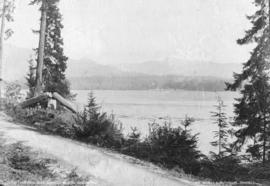 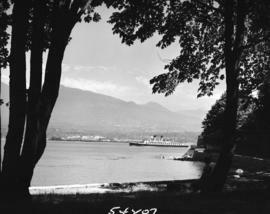 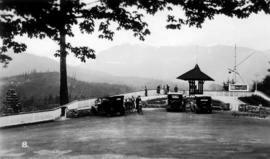 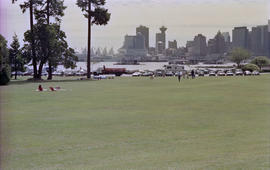 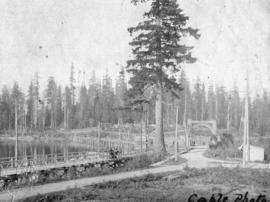 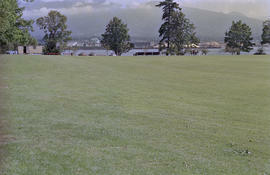 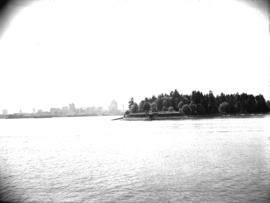 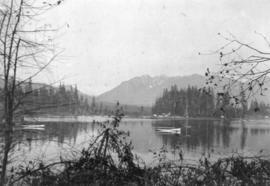 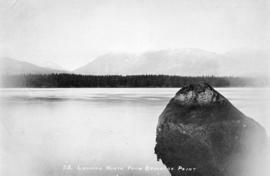 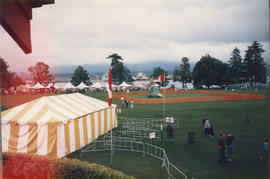 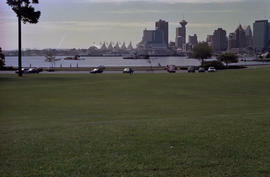 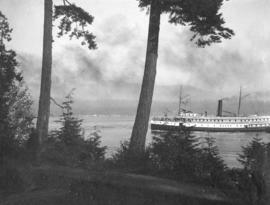 Item is a photograph showing a view of the mountains from Stanley Park, looking across Coal Harbour, before the causeway to Stanley Park was built. 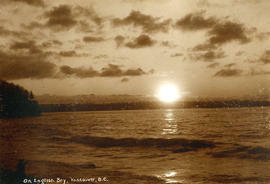 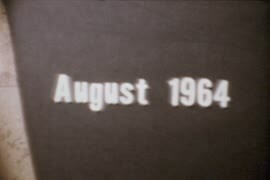 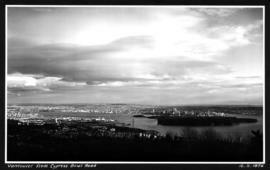 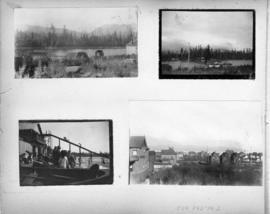 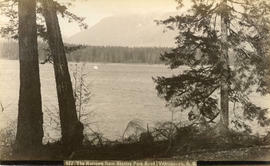 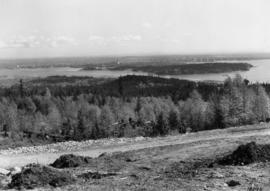 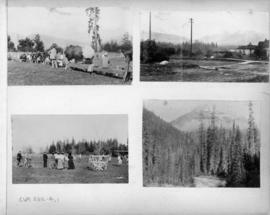 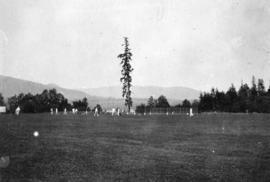 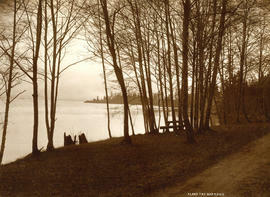 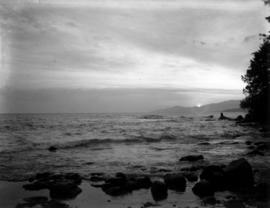 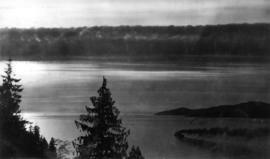 Item is a page from an album with photographs showing views of the West End, Stanley Park and English Bay.